NSW have defeated Queensland by 20 matches to 10 to record a dominant win in the 2019 State of Origin at Newcastle Golf Club. Although the score may have seemed lopsided, it did not reflect the tightness of the competition, with some morning results coming right down to the wire. The morning matches were a foursome’s contest, pitting the NSW 12/13s, 14/15s and 16/17s in both the boys and girls against their Queensland rivals. The morning was off to another great start for NSW with the super team of Nara Shin and Claire Shin securing the first point of the morning for the second straight day, against Queensland’s Sarah Hammet and Kate McFarlane. Nara and Claire were up from the very first hole, but Sarah and Kate were able to bring the match back to square after 9 holes. Nara and Claire rallied, and birdies on 15 and 16 locked in a 4&2 victory. The second point of the morning also went NSW’s way, with the 16 years Yerin Kim and 17 years Amber Thornton dominating Queensland’s Annabelle Hutchings and Jade Longstaff. NSW lost the first hole of the day but bounced back to win 9 unanswered holes in the next 11 for an 8&6 win. At this point of the morning, NSW has stretched out to an overall lead of 4 points, but Queensland were fighting hard, and were up in all 4 matches that remained on the course. Queensland’s Elvis Smylie and Ryan Stitt put hope in the Queensland faithful, with a 3&2 victory against NSW’s Tom Heaton and Harrison Crowe. The Queenslanders were up after a 1st hole birdie, and never relinquished their lead. A par on the long par 3 16th was enough to end the match. Queensland had secured a vital point, and were still up in the remaining 3 matches, and 3 points behind overall. Queensland’s Isaak Jensen and Billy Dowling were 3 up against NSW Harry Atkinson and Kai Komulainen after 10 holes, however 3 straight bogeys on 11, 12 and 13 for Isaak and Billy, and the match was all square with 5 to play. The scored remained square until the 17th, where a poor tee shot, and a disastrous hole cost NSW, and Queensland were 1up going down the last. The New South Welshman steadied the ship, and a 2-putt par was enough to win the hole and square the match. It was a similar story in the following match, featuring Brie Mapanao and Annika Rathbone of NSW and Illani Short and Poppy Harrington of Queensland. The lead changed hands on the back nine, but Queensland went to 1 up after a 3-putt bogey from the NSW girls on the 15th. Pars on 16 meant the NSW team were still 1 down on 17. After both teams missed the green, the advantage seemed to be with Queensland, as NSW had the much tougher of the 2 teams’ chips. Enter Brie Mapanao, and a chip in birdie from no where squared the match heading down the 18th. Queensland unfortunately found bunker trouble beside the green and were unable to get up and down to save par, meaning NSW had 2 putts to win the match, which they were able to do, and finish 1up. The final match left on course in the morning was between NSW’s Jeffrey Guan and Eddie Ward and Queensland’s Will Bowen and Blaike Perkins. Queensland were the better of the two teams and had a commanding 4up lead through 9 holes. Some bounce back from Jeffrey and Eddie got them to within 2, but an eagle for Queensland on 13 gained them a 3up advantage, which they remained with 3 holes to play. A bogey on 16, and double bogey on 17, and another NSW begun to dream of another comeback, and unlikely halved match. The score was now 1up to Queensland, and both teams were able to hit the par 4 18th in regulation. NSW putting first on the difficult last green, were only able to get in within 5 feet, and opened the door for a 2-putt par, and match win for Queensland. Queensland had a fast-downhill putt of their own however, and knocked it past the hole, and when they missed their par putt coming back, NSW now had a chance to win the hole and square the match. In stepped Jeffrey Guan, who holed his par putt, won the hole, and squared the match. NSW now took an unlikely 4-point lead into the afternoons singles matches. We now moved into the all-important singles matches in the afternoon, and NSW got off to a great start, leading in 6 of the 12 matches, square in 3 and down in only 3. Was once again it being 13-year-old Claire Shin who returned the first result of the round with a 6&4 victory over Kate McFarlane. The next result off the course was Jeffrey Guans 6&5 victory of Queensland’s Will Bowen. 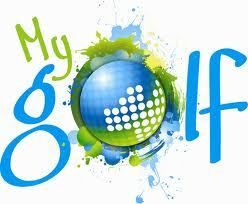 Jeffrey had saved his best golf for the last round, with 6 birdies without a bogey in the 13 holes they played. Young gun from NSW Nara Shin finished her match with a 3&2 win against Sarah Hammett, and early in the afternoon NSW was already within striking distance of a series win. Harry Atkinson from NSW and Isaak Jensen from Queensland took their match all the way to 18, but Harry proved to strong in the end, and his 2up victory put NSW into an unlosable position with 15 points in the bank. Queensland’s Billy Dowling impressed, as he had all week, with a 1up victory against Kai Komulainen. But it seemed Queensland were just delaying the inevitable. It was NSW’s 14 years girl Brie Mapanao who won the series deciding point, which was appropriate after her heroics in the morning matches. Brie won the 15th, 16th and 17th holes to defeat Queensland’s Illani Short 2&1, confirming NSW’s series win with their 16-8 lead. The remaining afternoon results included both 15-year olds from Queensland Poppy Harrington and Blaike Perkins defeating their NSW counterparts Annika Rathbone and Eddie Ward, 3&2 and 2&1 respectively. Along with Claire Shin, Yerin Kim and Amber Thornton finished the series winning 4 from a possible 4 points. Yerin defeated Queensland’s Annabelle Hutchings 5&4, and Amber defeated Jade Longstaff 3&2. Tom Heaton was too good for Elvis Smylie from Queensland, and Harrison Crowe beat Ryan Stitt, with both matches finishing 4&3 in NSW’s favour. The final day of the 2019 State of Origin is away, and all players are on the course. The morning sees the players team up for foursomes matchplay, before the singles matchplay wraps this up this afternoon. NSW has taken a slim lead after the opening day of the 2019 State of Origin series, played between JNJG (NSW) and Junior Golf Queensland. The afternoon matches saw the boys’ and girls’ team up for mixed foursomes. Momentum shifted between the 2 sides, and at one point after 9 holes, NSW were down in 5 of the 6 matches. 12-year old from NSW Nara Shin and Harry Atkinson were behind from the 1st hole to Queensland’s Sarah Hammett and Isaak Jensen. The lead swung back and forth between 1up and 2up until Harry and Nara were able to square the match up after the 17th. The NSW team had the chance to secure a half with a slippery downhill bending putt for Nara, but they were unable to convert, and the match was a 1up win for the Queenslanders. Queensland’s 13-year old’s Kate McFarlane and Billy Dowling struggled on the opening 9 against NSW's Claire Shin and Kai Komulainen, who were 5 up after 8 holes. Momentum started to swing towards the Queenslanders, who cut the lead to 2, however Claire and Kai proved too good, and won 4&3. The 14-year old’s match, between Brie Mapanao and Jeffrey Guan from NSW and Illani Short and Will Bowen of Queensland, was a contender for match of the day. The lead rotated 9 times throughout the match, with the NSW pair only securing a 1up lead for the first time since the first hole on the 17th. Par on the final hole was another for an exciting 1up victory for NSW. A self-described horrible start from NSW's 15-year old’s Annika Rathbone and Eddie Ward proved too hard to overcome against Queensland’s Poppy Harrington and Blaike Perkins. It was not for lack of trying however, and after winning 3 holes in a row including 2 birdies, The New South Welshman cut a 4 down deficit to only 1. But birdies on 13 and 15 for the Queenslanders proved too much, and Queensland chalked up another point with their 3&2 victory. 17-year old’s Jade Longstaff and Ryan Stitt from Queensland lead NSW's Amber Thornton and Harrison Crowe 2up after 4 holes, including an eagle on the 4th hole. The 2 up lead was gone after the next 2 holes, and Newcastle was set for another tight match. Back to back birdies for the Queenslanders on 13 and 14 meant Queensland were 1 up with 4 to play, but 3 bogeys in a row squandered the lead, and a 2&1 victory for Amber and Harrison. The 16-year old’s match was last on course. It saw Yerin Kim and Tom Heaton of NSW battle it out with Queensland’s Annabelle Hutchings and Elvis Smylie, and a battle it was, with the first halved hole of the match not coming until the 8th hole. The back and forth opening 9 holes ended with a Queensland 1 up lead, but that was negated immediately on the 10th with an NSW birdie. The match went into a holding pattern for the next 7 holes, until the teams reached the 18th all square. After the boys missed the fairway, the girls were left with tough approach shots into the green. They were both unable to hit the green, but an up and down out of the front left bunker for NSW secured the win, and NSW were now 2 points in front overall. The 2019 State of Origin is off to an exciting start with the scores level after the opening 6 matches. Round 1 saw JNJG take of Junior Golf Queensland in 6 four-ball matches. NSW pair Claire Shin and Nara Shin secured the first point of the series with a commanding 6&4 victory over Queenland's Sarah Hammett and Kate McFarlane. Claire and Nara started fast and had climbed to a 3 up lead after 9 holes. Birdies on their 13th and 14th holes from Claire secured the victory for NSW. Queensland were on the board when 12 year old Isaak Jensen and 13 year old Billy Dowling defeated NSW's Harry Atkinson and Kai Komulainen. After making the turn 3 down, the NSW boys managed to bounce back by winning their 10th and 11th holes with birdies. The lead stayed at 1up for the Queenslanders before slip ups from Harry and Kai on their 15th hole, and an impressive birdie from Billy on their 16th swung the match the Queenlanders way, winning 3&2. Queenslanders Illani Short and Poppy Harrington lead from start to finish in their match against NSW's Brie Mapaono and Annika Rathbone. Short and Harrington won their 3rd, 4th and 5th holes to take an early 3 up lead. A mini fight back from Brie and Annika got the match back to 1up for Queensland but a birdie on the penultimate hole scored a 2&1 win and another point for Queensland. At this point in the morning, Queensland had won 3 of the opening 4 matches, and pressure was right on the remaining NSW teams to avoid an early defecit. Both matches were close affairs. JNJG representatives Yerin Kim and Amber Thornton made the turn 1up, and were able to convert the lead into a 3&2 win. It was a tight affair for the entire match when 16 year old Tom Heaton and 17 year old Harrison Crowe from NSW took on Queensland lefties Elvis Smylie and Ryan Stitt. The match was all square after 10 holes. The momentum turned to NSW from this point on, and 4 birdies in 7 holes for Tom Heaton got NSW a 3&1 victory, and levelled the series 3 a piece. The afternoon will see the players team up to play Mixed Foursotmes. For live scoring Click Here. The 2019 State of Origin is Underway! All matches are now on the course in the annual State of Origin Clash. 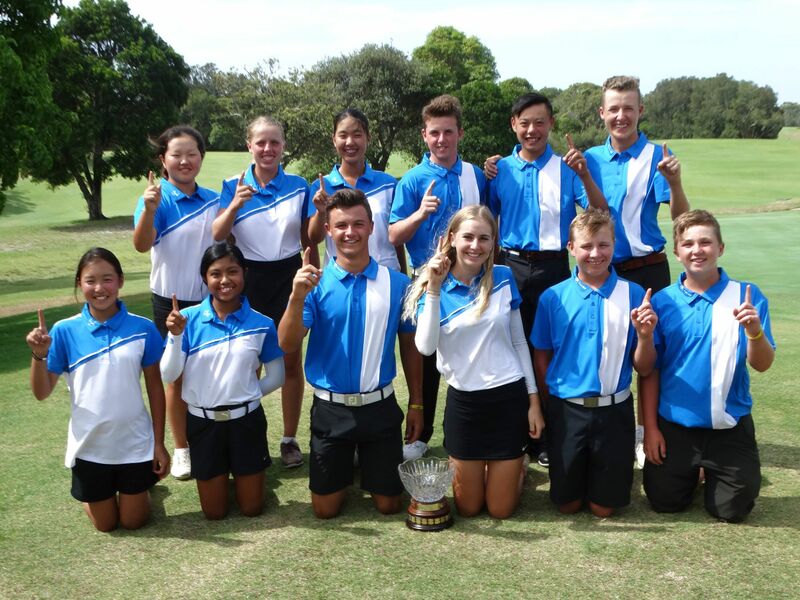 Jack Newton Junior Golf have selected the team for the 2019 State of Origin Series as it looks to claim back the series after a draw last year with the Junior Golf Foundation of Queensland. JNJG had won nine years in a row prior to drawing 15-15 earlier this year at Pelican Waters Golf Resort. The tournament returns to Newcastle this year and will be played at Newcastle Golf club from Thursday 10th to Friday 11th January, 2018. NSW will be looking to put both hands on that trophy at the end of the two day event. The final team is made up of one boy and one girl in each age division (as of the first day of competition). These players have been picked based on their scores in all JNJG Tour Events over the last 12 months. The boy and girl with the lowest average in each of the age division has been selected as the JNJG representative. Congratulations to all of our NSW team members on their selection. We know you will do your best when representing us all. Junior Golf Queensland have also selected their squad, with two evenly matched teams set to do battle at Newcastle GC in January.